Home / FAQ / What is necessary in a major medical health insurance plan? Today, health care reform has eliminated maximum coverage amounts and most health insurance policies cover far more than just major medical and hospital expenses. With the development of HMO (health maintenance organizations) groups in the 1960s and 70s, comprehensive health care, from cradle to grave, became accessible to millions of Americans. To get the best health insurance quotes for your area, key your zip code into the box provided! Major medical insurance coverage, also known as hospitalization insurance, traditionally covered the costs of hospital stays caused by accidents or serious illness or injury. The “Cadillac” or best of these policies might have covered up to a million dollars in hospital expenses over the lifetime of the policyholder. Why do we need comprehensive health insurance? The need for complete health insurance coverage is a double-edged sword. On one hand, over the last half of the 20th century, the lifespan of the average American increased significantly. This was primarily due to advancements in medical science and pharmaceuticals. At the same time, public awareness of major health issues and their prevention heightened and the general public had more access to affordable health care. In the last 20 years however, the costs of medical treatment, hospital services, and lifesaving drugs has skyrocketed. Without some form of health insurance, many Americans would go without medical attention. Living longer, to an average age of 80 plus years, has its disadvantages. The average American will require more and better health care in order to prolong and maintain a reasonable quality of life. With a larger, older population, comes a much greater demand on hospitals, treatment centers, and medical practitioners in general. Older adults often face many complex health issues, including the need for in-home care or placement in a full-time care facility, either on a short-term or permanent basis. Since the 1960’s, with the creation of the Medicare program, Americans 65 and older have had a basic health insurance program to fall back on. While Medicare doesn’t cover everything, it’s a good start. Medicare supplementary programs can be very helpful, picking up the costs that Medicare doesn’t cover. Supplemental insurance is available through many sources. The national organization AARP, can help seniors sort out insurance options. That’s fine for older adults, but what about the rest of us? Again, hospitalization or major medical coverage isn’t enough to keep a family healthy. Another lesson we’ve learned in the past half century is the importance of preventive medicine. We now know that many serious or chronic diseases can be better controlled or even cured through early detection and treatment. Without comprehensive health insurance, many people would wait to go to a hospital until there is an emergency or until their illness has progressed beyond the initial stages, where treatment is most effective. As a nation, our singular goal has been to provide all citizens with economical and readily accessible health care. Comprehensive health insurance is vital in achieving this goal. What is an HMO program? An HMO is a health maintenance organization. Since the 1970s, HMO’s have been the most popular choice for employer group health insurance programs. An HMO oversees all medical services for all covered family members. Each family member selects a primary care physician, PCP, who is responsible for managing the members’ care and treatment. Routine visits and check-ups are scheduled through a member’s PCP. When additional treatment becomes necessary, the PCP is consulted and provides a referral for a specialist or other necessary services. Surgical procedures and hospital stays are covered, as well as such services as maternity and mental health. A major benefit of HMO groups is that there are usually no co-pays, deductibles or other out-of-pocket expenses for members. All HMO services however, are expected to be obtained through practitioners in the HMO’s network of providers. Services from providers outside the network are not covered and would have to be paid for in full, by the HMO subscriber. Are there other insurance options? Yes! Another popular group insurance program is a PPO, or preferred provider organization. 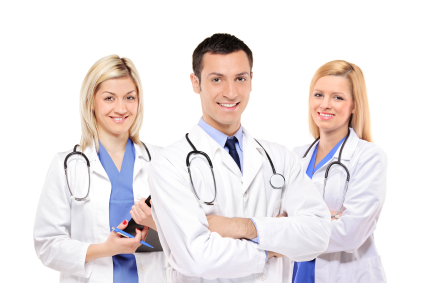 In this type of group, members may select their own physician for each necessary service. A PPO group also features a network of providers. Using network providers would be less expensive for the member, but there is also coverage available for outside providers. While PPO plans are more flexible than HMO’s, PPO plans generally require members to contribute a portion of the cost for each medical visit or other service. The plan administrators set these deductible fees and co-payments, in advance. For the most up-to-date health insurance rates, enter your zip code in the box provided!